KTR Promotions in Venice Beach & Los Angeles California: The Weekend Update is Here...with New Events and the Pick of the Week, Art Walk Culver City, 2011, Happening this Saturday! The Weekend Update is Here...with New Events and the Pick of the Week, Art Walk Culver City, 2011, Happening this Saturday! My Pick of the Week is this Saturday, The Culver City Art Walk. The City of Culver City presents the sixth annual ARTWALK Culver City on Saturday, June 4, 2011. If you love art, come out and enjoy a beautiful day in downtown Culver City. Over 35 galleries open their doors and invite visitors to traipse through their establishments. The whole day is FREE, baby. Along with the usual galleries, this year, you can catch some imaginative unique Pop-up galleries in local establishments. Used Tires Express is one such place, featuring artist Victoria Blak. Though, one does not think of art and tires, this pop-up art hub will be creating quite the scene. Located at 5879 Washington Blvd at La Cienega Blvd., Used Tires Express is getting in on the act from 10:00 am till 8:30 pm. Not only will Blak be painting live, creating a new work, right before your eyes, but also celebrating with music and refreshments. See Saturday’s events for more info. Just a reminder, if you did not see last week’s post, Carnevale Venice Beach! is cancelled. Yes it was scheduled for June 4th, and some press went out….but don’t believe it. I have been asked by the producers to post that it is indeed cancelled….BOOHOO. Check out their facebook page for all the details. It all boils down to the city’s ridiculously high permit fees! 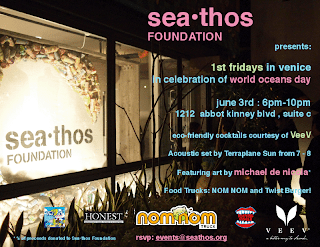 First Fridays on Abbot Kinney is here again. The event starts around 6:30 pm. Remember, this is Venice, so “around” means 6:30 or 7:00 ish. Stores stay open till around 9:00 pm.….With the recent arrival of food trucks upon the boulevard, some stores have decided to close early. However, here is a list of some shops that have confirmed with me that they will indeed be open and participating in the event. So start with these, and I’m sure you will stumble on more. This may be a great place to start, or end the evening, with some drinks and dancing. Joe's Restaurant invites you to a night of hot jazz with some live local bands, on their heated back patio. Tonight, Jazz at Joes presents CROON IN JUNE, with Tim Gill & the Tim Gill All Stars, from 7:00 pm to 11:00 pm. 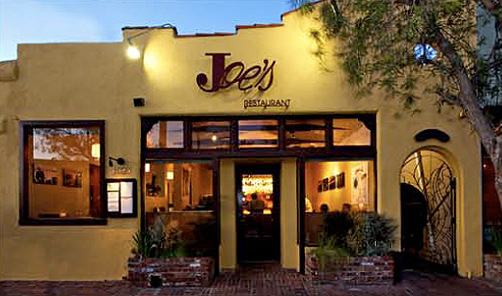 Joe’s offers delicious food and an edgy ambiance with a wonderful selections of spirits. There is no cover charge. 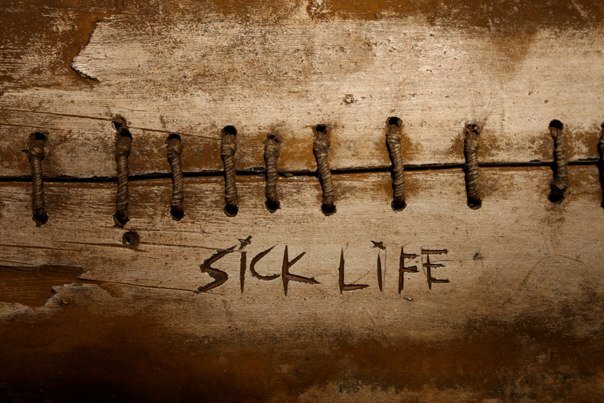 Then pop by the lovely shop called Altered Space Gallery, 1221 Abbot Kinney Blvd who will be open and celebrating the opening of "SICK LIFE; SHRED/GRIND/CARVE" - deconstructed skateboards by George Peterson. Refreshments will be served. 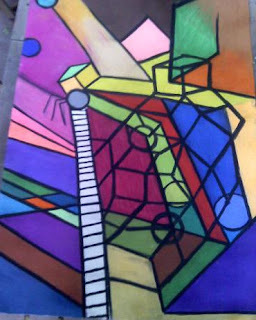 310-452-8121; http://www.alteredspacegallery.com/. The Gumbo Kinney gallery collection is being moved to a retail space at 1130 Electric Ave., which runs parallel and just east of Abbot Kinney. One of the first bungalows in Venice, it's perfect for a dinner before the bars and a chill by the fireplace, after. The whole place is art! It's an opportunity to view an otherwise private space. No retail sales here, but some pieces from the Gumbo Kinney vintage Tibet collection will be exhibited. Light and tasty refreshments. Nitespa 1301 Abbot Kinney will be open for First Fridays and offer all kinds of little treats and specials during the evening. They always create a fun festive vibe. Enjoy their handpicked spa soundtrack, rosemary water and organic teas. There will also be art and jewelry for sale. Open till 10:00 pm. Stop by during First Fridays and receive 25% off any treatment. The entrance is on Santa Clara. 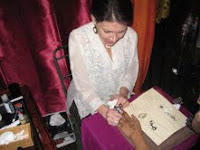 310.396.5122; http://www.nitespa.com/. Then cross the street, to You Need a Sofa 1344 Abbot Kinney Blvd who will be open as well serving cheese and crackers.. 310 399-3928; http://www.youneedasofa.com/. Robin Murez, will be featuring a music event with Tommy Santee Klaws beside the bonfire in the beautiful glass garden known as Robin’s Sculpture Garden, located at 1362 Abbott Kinney. 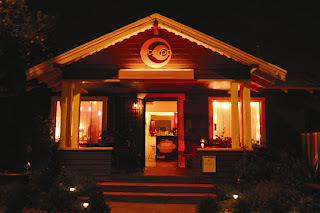 Right next door, you have to stop into Zingara Trading 1507 Abbot Kinney for their famous S'mores…Yum! They have one of-a-kind clothing and accessories. This month they are giving away FREE glitter and henna tattoos as well as a trunk show featuring the jewelry of Mami Afrika. 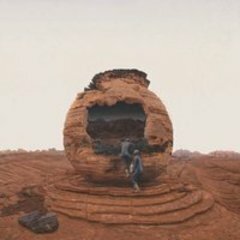 310 392-6424; http://www.zingaratrading.com/. The Modern Dog, a charming Pet accessory store, is located at 1611 Abbot Kinney will be introducing a new dog food topper called Puppy Dust! Free samples will be available. Tonight, they will also be featuring Animal Blue Prints. We will be offering 10% off any in store stock. Cookies and Perrier will be served. 310-450-2275; http://www.come-sit-stay.com/. If you want to continue on …. 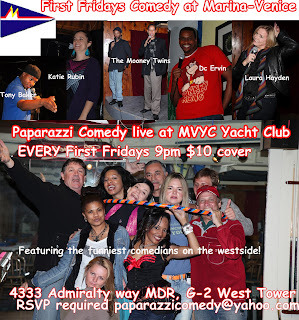 Paparazzi Comedy is also now EVERY FIRST FRIDAYS 8pm at Marina Venice Yacht Club, 4333 Admiralty Way G-2 West Tower, Marina Del Rey, CA. 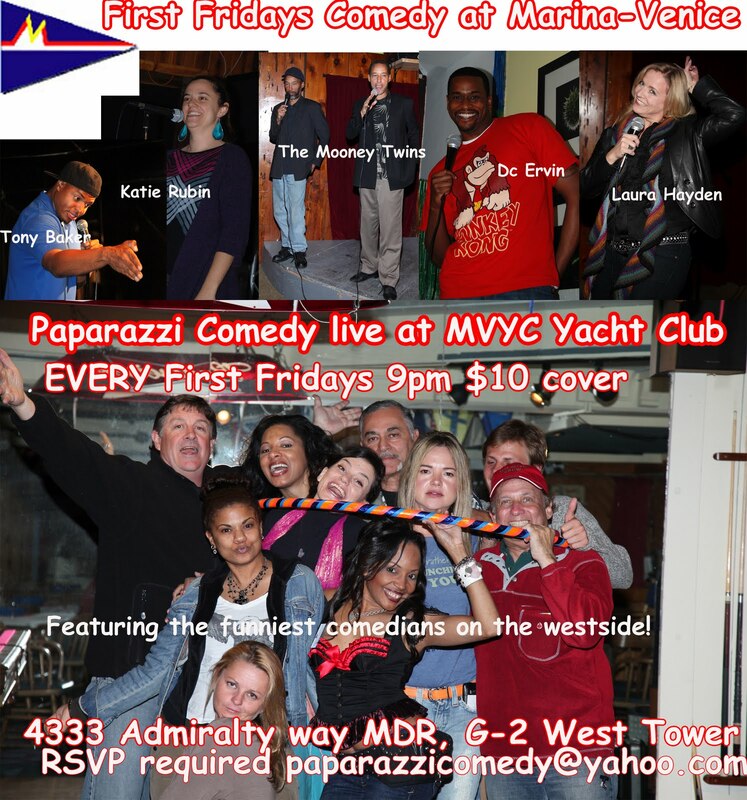 Hosted by Gisele Rebeiro and Janet Rousseau featuring Tony Milazzo, Laura Hayden, Tony Baker, Daugne Keith, DC Ervin, Katie Rubin, Billy Barnes. Headlining is the Famous Mooney Twins. FREE parking available. Drink specials all night long. Complimentary Appetizers. $10 Cover Charge if on Guest List must RSVP at paparazzicomedy@yahoo.com Produced by Gisele and event coverage by partyby5.com. Please arrive early, limited seating. And that’s it for First Fridays! Depending on your location, you may want to skip the scene on Abbot Kinney. Take a trip to Los Feliz since there happen to be a couple of openings, and check out the sleek gallery space, called The WEEKEND, at 4634 Hollywood Blvd., 90027. The opening reception for Kelli Craig starts at 7:00 pm. At WEEKEND, they like to keep the party going till 10:00 pm. 510 206-4001; http://weekendspace.org/. Then pop into La Luz de Jesus Gallery. This edgy gallery, known for putting on a fun opening. 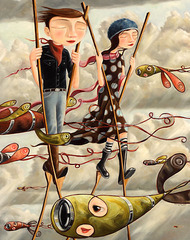 The reception features works by Lyle Motley (see image) and Glenn Barr. The gallery is located at 4633 Hollywood Blvd near Vermont. Opening starts at 8:00 pm and goes till 11:00 pm. Yeah, a gallery who knows how to celebrate. OK, unlike NY, 11:00 pm is late for LA. 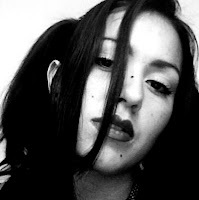 323.666.7667. http://www.laluzdejesus.com/. 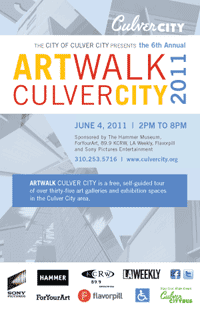 The City of Culver City presents the sixth annual ARTWALK Culver City on Saturday, June 4, 2011 from 2:00 pm to 8:00 pm. However, many of the galleries have decided to open as early as 11:00 am and close at 8:00 pm. Most of the galleries are on Las Cienega Blvd and Washington, however check the website for a few on Main St and Culver Blvd. This free, self-guided tour of over thirty-five local art galleries and exhibition spaces is sponsored by The Hammer Museum, ForYourArt, 89.9 KCRW, LA Weekly, Flavorpill and Sony Pictures Entertainment. ARTWALK Culver City opens the doors of the area’s art galleries to introduce a wider audience to the unique vitality of the artist spaces of Culver City. For more info, contact the Culver City Cultural Affairs Hotline at 310.253.5716 or http://www.culvercity.org/. You’ll want to park on Venice Blvd, and pop into several happening right on La Cienega. Then move the car to the West side of Washington. Blvd. be sure to check the website for additional galleries, here is a list of some of my faves, which are in the same area, good for walking. If you decide to park on Venice, start at The Francois Ghebaly Gallery, located at 2600 S. La Cienega Blvd., 90034, who will be featuring the artist Anthony Lepore (see image) in his latest show entitled “New Wilderness” from 11:00 am till 8:00 pm. 310 280-0777; http://ghebaly.com. Honor Fraser will be showing works by Annie Lapin. Located at 2622 S. La Cienega, Open till 8:00 pm. (310) 837-0191; http://www.honorfraser.com/. JK Gallery (2632 S. La Cienega Blvd. 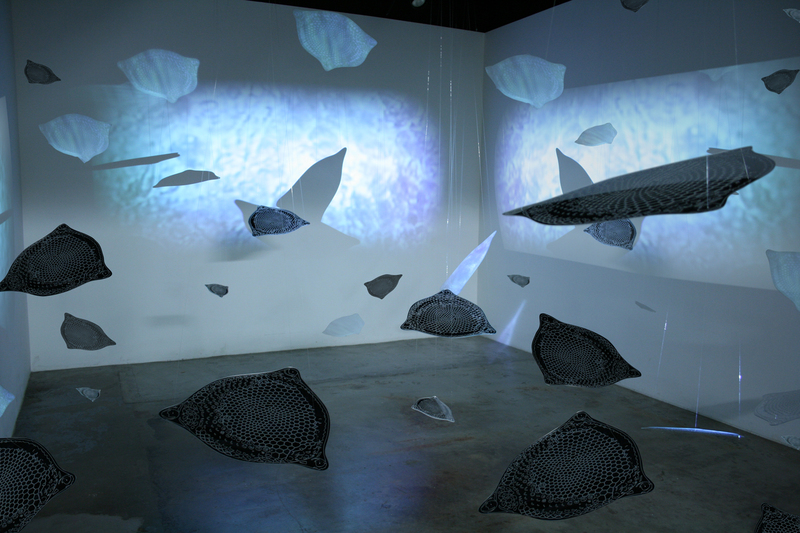 ), celebrates the work of Diane Cockerill and Irene Imfled (see image) from 11:00 pm to 8:00 pm. Wine & refreshments. 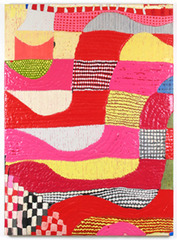 310.837.3330; http://www.jkgallery.net. And continue on to Walter Maciel Gallery 2642 S. La Cienega Blvd. The artist featured is Brendan Lott. Open at 11:00 am, but closing a bit earlier at 6:00 pm. 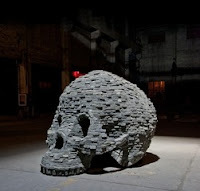 310.839.1840; http://www.waltermacielgallery.com/. 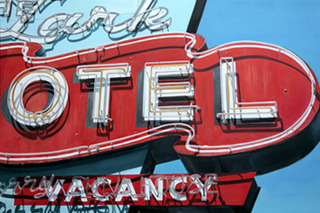 Taylor De Cordoba showcases Timothy Hull and is located at 2660 S. La Cienega Blvd. and will be open until 8:00 pm.310.559.9156; http://www.taylordecordoba.com/. The George Billis Gallery will be open for the Walk, but also having an opening reception for their group show. This one starts a bit earlier, 5:00 to 8:00 pm. George Billis Gallery LA at 2716 S. La Cienega Blvd, 90034. 310 838-3438; www.georgebillis.com/. Across, on the other side of La Cienega, use the cross walk, Blum & Poe, at 2727 S. La Cienega features the work of Zhang Huan (see image). This exhibit is incredible, and the sculptures are LIFE SIZE,….this pix does not do it justice, don’t miss it. They will not be extending into the evening, so stop in early, this one closes at 6:00 pm. 310-836-2062; http://www.blumandpoe.com. Then stop into Angles Gallery (2754 S. La Cienega Blvd.). 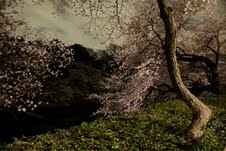 Ori Gersht’s work will be on display and will be open from 11:00 am till 8:00 pm for the Art Walk. 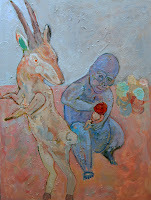 310 396-5019; http://www.anglesgallery.com. Be sure to stop into the Western Project located at 2762 S. La Cienega Blvd., same times as the others. 310.838.0609; http://www.western-project.com/. Kopeikin Gallery, located at 2766 S. La Cienega offers the exhibit Mars: A drift on the Hourglass Sea by artists, Nicholas Kahn & Richard Selesnick open till 8:00 pm. 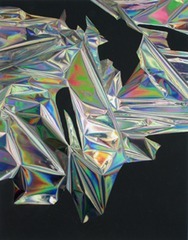 310-559-0800; http://www.kopeikingallery.com. On to Washington Blvd., be aware that these next few are east of the other galleries. You may want to move your car, but it is just one long block, totally walkable. However the rest of the galleries are back west of La Cienega, which may be the time to move the car, or hook up with someone who parked closer. This year, you can catch some imaginative unique Pop-up galleries in local establishments. Used Tires Express is one such place. Though, one does not think of art and tires, this pop-up art hub will be creating quite the scene. Located at 5879 Washington Blvd at La Cienega Blvd., artist Victoria Blak will be premiering a new solo show from 10:00 am. till 8:30 pm. Not only will she be painting live, creating a new work, right before your eyes, but also celebrating with music and refreshments. The raw energy of these pop-up galleries usually garners such excitement and interest that it far outshines the stuffiness of the four walled competition. Real art in the making is a refreshing notion. 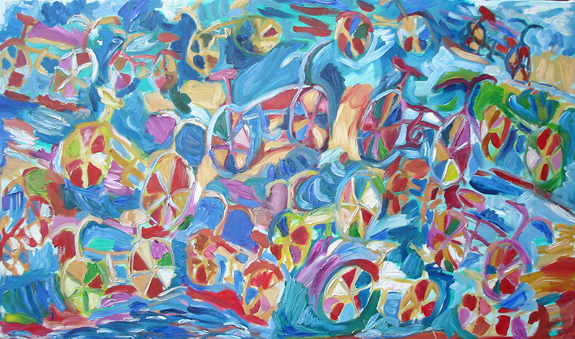 Victoria Blak is pleased to be a part of Art Walk, Culver City 2011. Her art is perfect for this kind of exhibition. The work stands alone, full of energy and uniqueness, you cannot help but stare. 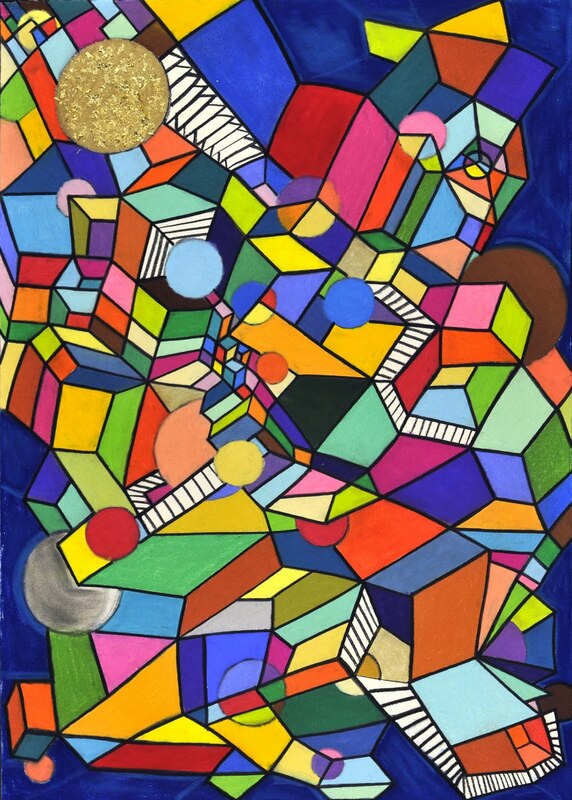 When you look into a painting by Victoria Blak, color attracts you, playfully shading a complex path that leads you to a deeper plain. 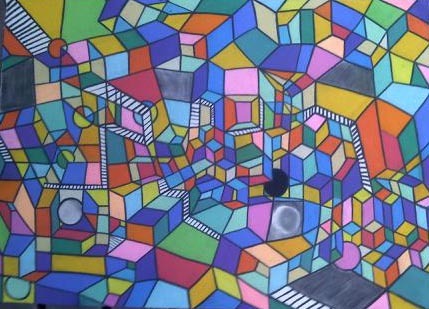 She clearly exposes herself through this labyrinth of twisted color and flirtatious contrast. 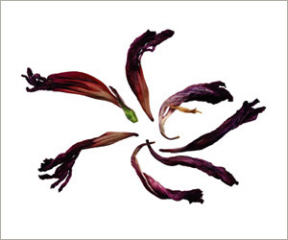 The purity and strength of Victoria’s vibrant hues are reminiscent of the embroidery of Mesoamerican native people. For more info on Victoria Blak, check her website at www.ballandchainabstracto.net. For commissions or to purchase original works, email victoriablak@me.com or call 408-691-1934. Then skip down the block to Blythe Projects who will be displaying 'Permeate', a very cool installation by artist, Meeson Pae Yang (see image). I saw it last week and really enjoyed it. Blythe Projects is located at 5797 Washington Blvd, 323 272-3642; www.blytheprojects.com. 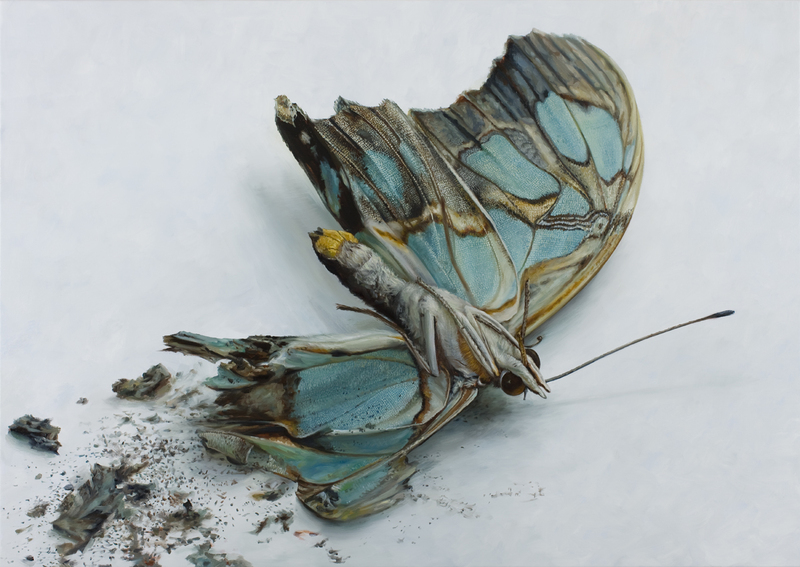 Right next door, the Carmichael Gallery will be showing Yasmine Chatila, Hilo Chen, Adam Krueger, Alyssa Monks, Jaclyn Santos in a show called "Breach of Privacy". Wine and drinks will be offered. The Carmichael Gallery is located at 5795 Washington Blvd. (323) 939-0600; http://www.carmichaelgallery.com/. Then across the street, don’t forget to stop into the Mark Moore Gallery at 5790 Washington Blvd bet La Cienega and Fairfax and will also be open for the Art Walk, featuring Cindy Wright (see image) and Mark Fox. The Mark Moore Gallery will be open from 11:00 am – 8:00 pm. 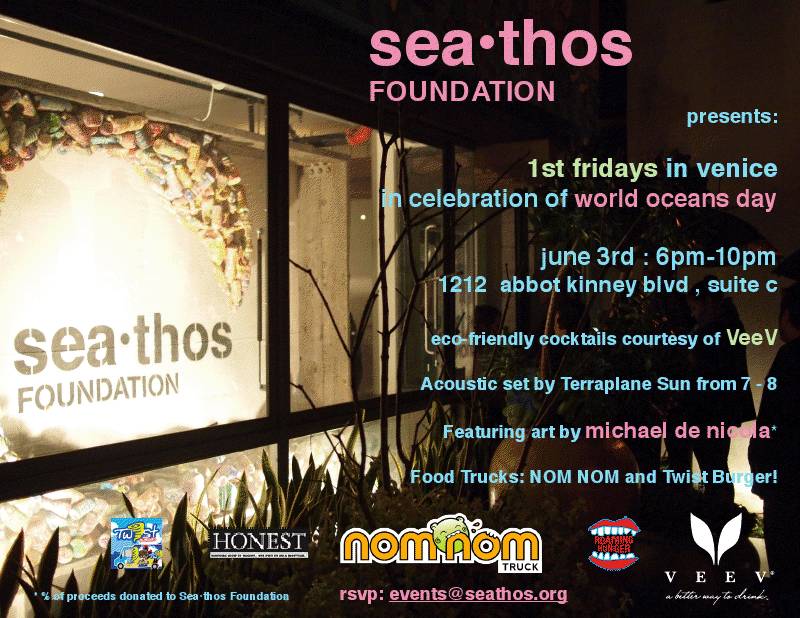 They will be offering refreshments and a DJ and yes they usually have a nice bar set up at this lovely gallery. 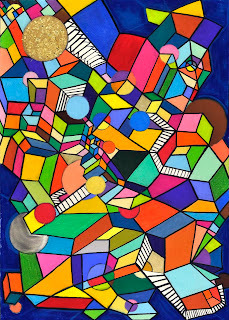 310 453-3031; http://www.markmooregallery.com/. 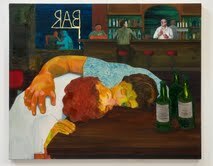 Susanne Vielmetter Los Angeles Projects is the complete opposite way, West of La Cienega and will be open from 11:00 am to 8:00 pm at 6006 Washington Blvd., featuring paintings by Nicole Eisenman (see image) and Wynne Greenwood. 310 837-2117; http://www.vielmetter.com. Then right down the street, The Whole 9, or Gallery 9, located at 6101 Washington Blvd, will be featuring a group show, entitled “Life is just a Fantasay” Artist Barbara Kossoff will be featured along with other artists. Open till 8:00 pm. 310 836-4601; http://thewhole9.com/. 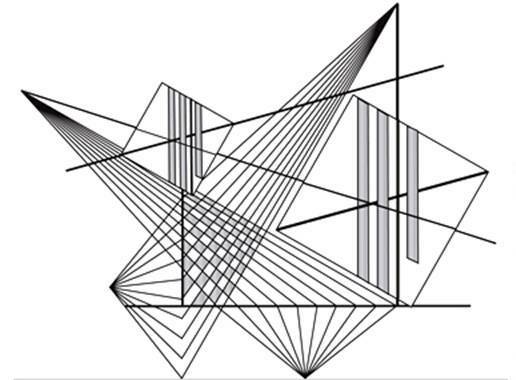 Cardwell Jimmerson Contemporary Art, 8568 Washington Blvd., Open for Art Walk from 11:00 am to 6:00 pm, then will be having an opening reception for Peter Sims (see image) which runs from 6:00 pm – 8:00 pm. 310-815-1100; http://www.cardwelljimmerson.com. 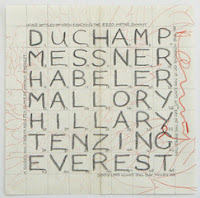 Of course, there’s Thinkspace (6009 Washington Blvd., 90232), featuring a group show. Open till 8:00 pm. 310.403.8549; http://www.thinkspacegallery.com. 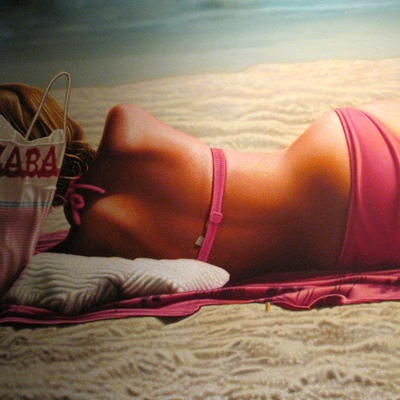 Then head straight to Corey Helford Gallery (8522 Washington Blvd., 90232) who will be open from noon till 8:00 pm. 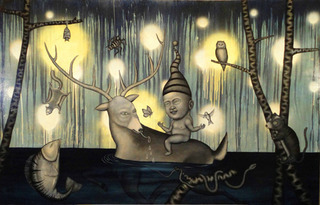 Corey Helford presents artists, Sarah Folkman, Krista Huot and Isabel Samaras. They will be serving refreshments and water. 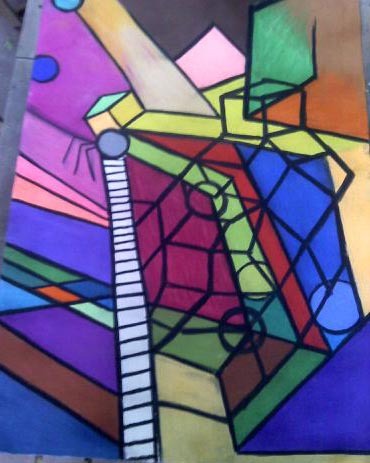 www.coreyhelfordgallery.com. Another fun one off the main drag is Gregg Fleishman Studio, located at 3850 Main Street. 90232. Artist Greg Fleishman has beautiful work and always puts on a happening party. 310.202.6108; www.greggfleishman.com. If you would rather not hang in Culver City or just need a break, head over to Bergamot Station (2525 Michigan Ave in Santa Monica) from 4:00 pm till 7:00 pm. Luis De Jesus Los Angeles presents the world premiere of Out of the Desert, Laerke Lauta's fifteenth video to date and the first to be shot in the U.S. It takes place in Los Angeles during an unusually hot day, the result of intense Santa Ana winds blowing in from the Mojave Desert. The people and the city are running at half speed, Lauta's video installations map internal and external states of consciousness and are characterized by an undertone of unresolved suspense—the latent fear of a fatal event that is not directly revealed. 310-453-7773; http://www.luisdejesus.com. Then stop into The Frank Lloyd Gallery (B5B), who will be featuring artist, Cindy Kolodziejski. Known for her provocative imagery on ceramic vessels, Kolodziejski has turned to framed portraits and strange images in a multitude of media for this show. This reception runs from 5:00 pm till 7:00 pm. 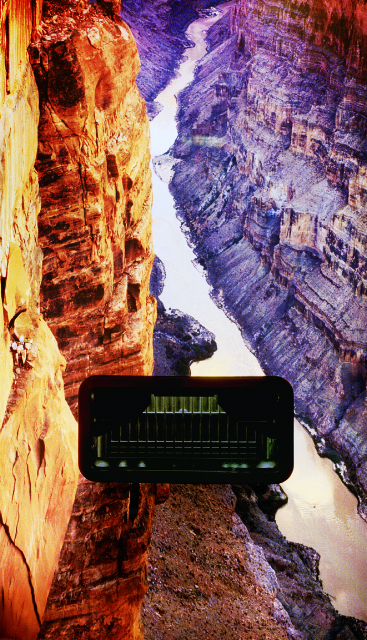 Leslie Sacks Contemporary (B6) presents the work of Tony Delap, Jeremy Kidd and John Okulick. This opening starts and 6:00 pm and does run a bit later to 8:00 pm. 310.264.0640; http://www.lscontemporary.com/. Local artist, Brooke Harker has donated a painting (see image), entitled "Oceanside Ride" for this benefit, which is hosted by Get Art. The event takes place at Siren Studios 6063 W. Sunset Blvd., LA 90028, from 7:00 pm till 10:00 pm. There is a $10.00 charge in advance; $15.00 at the door, but100 % of the profit will go directly to Project Angel Food. To order tix, go to www.getart.org; For more info on Brooke Harker, see her website at http://www.brookeharker.com/. 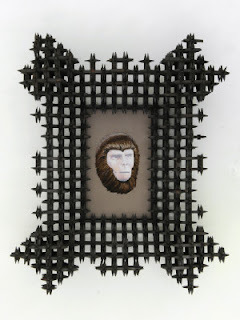 Bleicher/Golightly and Hamilton Galleries present “Animal Magnetism”. 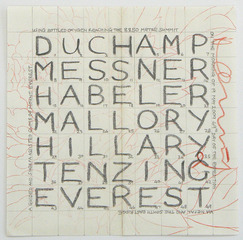 A group show of contemporary artists’ works based on their interpretations of the show title. Expect images of romance, animals, lust, and instinct. Artists include Julia Schwartz, Lizzy Waronker, Nancy Larrew, Airom Bleicher, Simone Gad, Anna Bruinsma, Gay Summer Rick, Warren Long, and Margret von Biesen. The exhibit takes place at Bleicher/Golightly and Hamilton Galleries in the Pacific Plaza, 1431 Ocean Ave, in Santa Monica. Event runs from 4:00 pm till 7:00 pm.